At the start of the year ten of us at Torevell & Partners signed up to the Manchester Great Run 10K. Despite a number of us not having run in the past, or at least not for a while, we entered as a team in the Manchester Business Challenge. 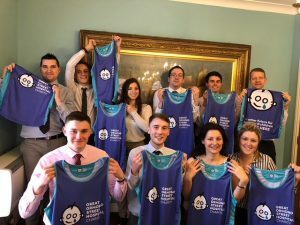 As part of the challenge we were competing against other similar-sized companies whilst raising money for our chosen charity, Great Ormond Street Hospital. 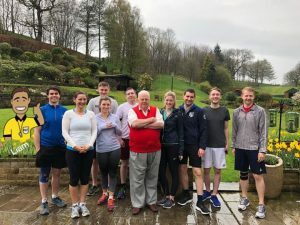 After months of preparation, including a training run around our chairman’s house in very hilly (and slightly wet) Rossendale, race day arrived on 20th May. We were competing with more than 30 other companies in our category and temperatures of up to 25C, during the hottest part of the day. The Torevell & Partners team finished runners up, with our top four runners finishing in a collective 3 hours 34 minutes and 56 seconds (an average of around 53 minutes per 10K). We were a comfortable 4 minutes and 57 seconds ahead of the third placed team, and less than 5 minutes behind the first placed team. Collectively we were able to raise more than £1,500 for the charity which will go a long way towards helping those most in need. We are shortly to be awarded with an engraved plaque for our success, which we will proudly display in the office! Whilst we are extremely happy to have run so well, our real achievement is exceeding our original fundraising target and raising a significant amount for the incredible cause that is Great Ormond Street Hospital Charity.